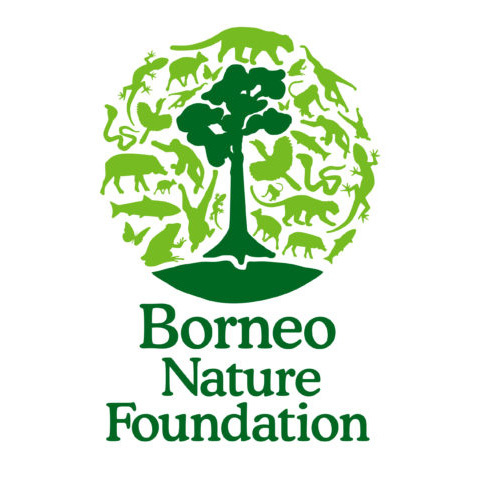 Borneo Nature Foundation (BNF, previously the Orangutan Tropical Peatland Project (OuTrop)) works to protect some of the most important areas of tropical rainforest in Borneo, including the peat swamps of Sabangau, home to the world's largest orangutan population. Borneo Nature Foundation (BNF, previously the Orangutan Tropical Peatland Project (OuTrop)) works to protect some of the most important areas of tropical rainforest in Borneo, including the peat swamps of Sabangau, home to the world's largest orangutan population. We monitor the behavioural ecology of the forest's flagship ape and cat species, carry out biodiversity and forestry research, and work with our local partners to develop conservation solutions and improve capacity for conservation in the region. BNF’s biodiversity monitoring research is leading the field in tropical peat-swamp forest biodiversity studies in Kalimantan. Our records stretch back from 1995 and cover almost all major animal groups (from mammals, birds and reptiles, to butterflies and ants), representing the most extensive dataset available for Kalimantan's peat-swamp forest. Following the devastating forest fires which engulfed Borneo and Sumatra in 2015, combined with ongoing habitat degradation and hunting has resulted in the Bornean orangutan has been up listed to Critically Endangered. BNF is working to understand orangutan population dynamics, to protect and restore critical orangutan habitat and work to raise awareness in Indonesia and around the world. Pangolins, in general, face threats due to illegal hunting and wildlife trade as their meat is sought after, and their scales are valued for medicinal purposes. Pangolins confiscated within Indonesia are often already dead but any live animals are often inappropriately released into the wild, or are sold back into the trade. While the current population status of the pangolin is unknown, the scale of pangolin trade represents a major conservation risk for the animal. OuTrop works to raise awareness in Indonesian Borneo as well as contributing data to understand the trade routes and population status of this elusive species. Since 2003 we have followed over 100 individuals and collected over 20,000 hours of data on these apes. Our primary objective for this project is to gain a better understanding about orangutan behaviour and ecology in a tropical peat-swamp forest, to compare with other populations in different habitats, and to see how they cope with the unique challenges that this habitat brings. All studies of mankind’s closest relatives help us get a better understanding of how human evolution was shaped by the environment, and we are regularly making new and exciting discoveries that reveal the orangutan’s great intelligence and problem-solving ability. We’re also using our data to inform conservation management plans, by understanding how orangutans cope – or in some cases, fail to cope – with the damaging and disruptive impacts of logging and fire. Our main objective will always be the conservation, monitoring and protection of Sabangau’s orangutan population to ensure its future survival. BNF helps to further our knowledge of this poorly understood species by conducting research on wild pangolins using camera traps at 8 different sites as well as carrying out social surveys of hunting pressure and hunting hotspots. BNF employs a variety of tools to engage target audiences in order to promote positive perceptions and attitudes supporting the conservation of all wildlife. BNF aims to facilitate attitudinal change through building awareness and communicating messages that lead to positive perceptions of wildlife and conservation. It is hoped that all these efforts will help to reduce the human-related threats faced by all wildlife species in Indonesia.